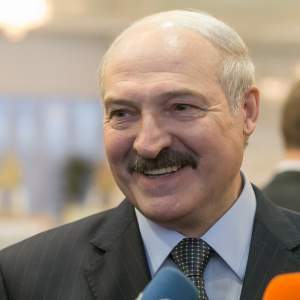 On 9 October, Belarusian media reported that Belarusian President Alexander Lukashenka received an invitation to the Eastern Partnership (EaP) summit in Brussels. The development demonstrates a new high in the pragmatisation of EU policy towards Minsk. A formal end to the isolation of the Belarusian leadership has come despite the lack of human rights progress. Lukashenka will most likely use the occasion to reinforce his new image as a donor of regional stability. However, this diplomatic breakthrough does not automatically imply tangible progress in relations with Brussels. The political thaw, so far, has failed to produce economic results or improve Belarusians’ attitude towards the EU. Such shifts require bold domestic reforms, and Minsk seems reluctant to undertake them. Several different sources, including the EU delegation in Minsk, have now confirmed that Alexander Lukashenka personally received an invitation to come to Brussels for the EaP summit in late November. 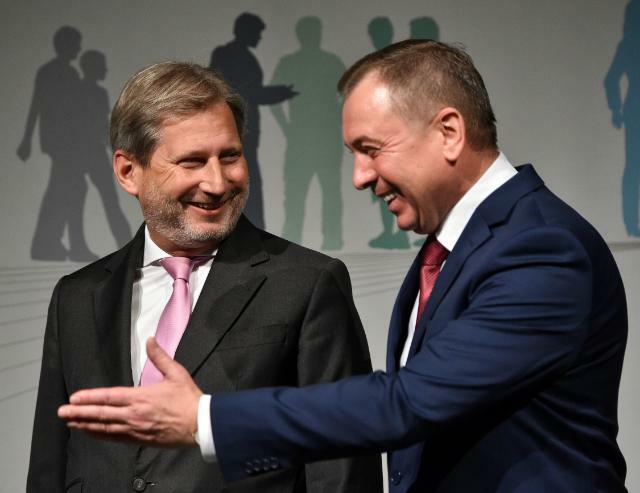 On 17 October, European Neighbourhood Policy Commissioner Johannes Hahn will visit Minsk, reportedly, to pass on the invitation personally to Lukashenka. Due to a strained relationship with the EU, the Belarusian president has not represented his country at any of the four past EaP summits. Brussels issued the same invitation to all six EaP member countries, but unofficially asked Belarus to please send someone other than the Belarusian president. The thaw in EU–Belarus relations, which started in 2015, has become, inter alia, a manifestation of Brussels’ new, more pragmatic foreign policy towards Minsk. An increasing importance of regional stability and security, Belarus’s neutral stance on Ukrainian crisis, and its peacemaking efforts have all had a strong effect on this EU policy shift. Belarus still does not participate in EaP’s parliamentary dimension, Euronest, but the invitation for the president to visit Brussels overshadows this lingering drawback. This autumn, Belarus will formally and symbolically become a partner, the leadership of which EU recognises equally legitimate to those of other Eastern neighbours. This represents quite a remarkable leap from “the last dictatorship of Europe” label, especially considering how limited the democratic progress in Belarus has been. Human rights groups, like Viasna and the Belarusian Helsinki Committee, still report about political prisoners (currently they name three). In terms of freedoms of media and assembly, the situation has recently worsened with a new wave of pressure on the Belsat TV channel and arrests of opposition activists. These developments, however, have caused no visible damage to the Minsk–Brussels rapprochement. Indeed, inviting Alexander Lukashenka to the EU capital is not simply one step further. With such a decision, Brussels clearly flags the victory of the “pragmatists’ camp” over “value-advocates” within the EU. There are simply no powerful actors, capitals or groups of interests left to root for a hard line towards Belarus. Belarus has not yet confirmed Lukashenka’s visit to Brussels, but it is already clear the pros outweigh the cons. Lukashenko will unlikely be afraid of irritating Russia with his visit. The recently held joint military games Zapad-2017, despite Western criticism and worries, was a timely and appeasing pro-Russian gesture. These exercises made it easier for Lukashenka to defend his Brussels trip were Russia to raise issue. On the pros side, the Belarusian president will get a serious reputational uplift from his visit to the EaP summit. For the first time in two decades, he gets a chance to come to the EU capital and take an equal seat at the table with key European leaders. Belarusian diplomats will do their best to arrange as many bilateral meetings as possible. Lukashenka will likely present himself triumphant—a leader who managed to break out from Western isolation, sacrificing no power domestically and imposing his pragmatism upon relations with the EU. Brussels will also act as a prestigious forum for Belarusian president to reiterate his Helsinki-2 initiative. The idea is to gather USA, EU, China and Russia to discuss a new world order, preferably—in Minsk. In addition, Lukashenka will not miss an opportunity to remind all in attendance of his role in facilitating negotiations on Ukraine. A limited and relatively superficial agenda remains the fundamental problem of the EU-Belarus thaw in relations. For now, progress after Brussels seems feasible in terms of visa facilitation talks and the launch of negotiations for a Partnership and Cooperation Agreement, which will create a legal basis for cooperation between Belarus and the EU. The Belarusian Foreign Affairs Ministry has complained often lately about the lack of a modern legal basis for developing relations with the EU. Ironically, Lukashenka made his first, and so far only, visit to Brussels in 1995 to sign the first Framework Agreement. The EU suspended its ratification after the Belarusian referendum of 1996, which consolidated authoritarian rule in the country. Lukashenka’s new visit to Brussel seems the perfect occasion to kick off new talks on this issue. Visa facilitation will hardly be achieved by simply visiting Brussels. The talks have been stuck in bureaucracy for several years now. At the same time, a loud and joint reiteration of both Belarusian and EU political will to conclude talks on a new visa regime may speed up the process. Apart from this, the Belarusian diplomatic breakthrough will remain purely diplomatic. Naturally, this can contribute to a steady improvement of the country’s image abroad, but this slow process will hardly lead to a tangible breakthrough in relations. The origins of the ceiling to engagement go well beyond the usual stumbling block—Belarusian authoritarianism. For example, the dynamics of EU–Belarus trade follow oil prices and not political developments. Refined Russian oil constitutes up to 70 per cent of Belarusian exports to the EU and Minsk has done little to change this trade structure. The share of trade with EU in terms of Belarus’s overall trade balance is just 23 per cent (January–August 2017). The figure was above 26 per cent even in 2014, a year before Minsk and Brussels began to normalise their ties. Foreign investments—two thirds of which come from Russia and offshore territories—have been shrinking since 2014. They also depend on the existing business climate within the country, rather than upon symbolic victories on the diplomatic front. Even public opinion in Belarus has not responded to the thaw in relations. Among EaP nations, Belarusians are the least positively disposed citizens towards the EU—35 per cent (EU Neighbours survey, April 2016). Less than 15 per cent of Belarusians chose the EU over Russia as an integration option in a spring 2017 poll conducted by Belarusian Analytical Workshop, a Belarusian think tank registered in Warsaw. This figure has remained below 20 per cent since 2014, the year massive anti-Western propaganda efforts began in the Russian media. They still keep informational dominance in Belarus with no countermeasures from its government. The limits of the Minsk-Brussels dialogue and its effectiveness depend on political and economic homework that Belarusian authorities remain reluctant to do. Diplomatic achievements pave a good road for a palpable progress in relations, but they cannot replace it. The United Kingdom has virtually overlooked Belarus since the latter regained its independence over twenty five years ago. London largely remained a strong proponent of a hard-line approach towards Lukashenka’s regime. The UK has avoided talking to the authorities in Minsk. Only two years after the normalisation of relations between Belarus and the EU began, the first high-level British official has set foot in Minsk. Sir Alan Duncan, a junior minister in the UK Government, came primarily to understand and encourage Belarus’s neutrality stance towards regional conflict. In addition, Duncan sought to formulate proposals for the UK’s post-Brexit policy towards Belarus. Will this visit give impetus to major changes in Belarus – UK relations? Is the era of estrangement over? Sir Alan Duncan, who serves as the Minister of State for Europe and the Americas at the UK’s Foreign and Commonwealth Office, visited Minsk on 25-26 September. He met Belarusian President Alexander Lukashenka and Foreign Minister Vladimir Makei. The British diplomat also talked to opposition leaders, civil society activists and UK citizens. Alan Duncan became the first UK Minister to visit Belarus in 25 years of the two countries’ diplomatic relations. A few high-level Belarusian officials, including the then Prime Minister Mikhail Chyhir and Speaker of the Parliament Miechylau Hryb, visited London during the short-lived pre-Lukashenka era of Belarus’s independence. Prime Minister Siarhiej Sidorski, who came to London in November 2008 to attend the Belarus Investment Forum, failed to hold meetings at the level appropriate for his status. The only political consultations at the deputy foreign minister level between Belarus and the UK took place four years ago in the British capital. This is quite a startling assessment of the UK position. Over many years, London has promoted a hard-line approach towards Belarus. Reacting to the violent crackdown on opposition in Belarus in December 2010, the UK government lobbied hard for economic sanctions against Lukashenka’s regime. British media and public figures often expressed solidarity with Belarusian civil society and political opposition; Belarus Free Theatre and Andrei Sannikov are the best-known examples. The UK government remains unlikely to involve itself in the discussion of specific joint projects with Belarus, leaving this to private business entities. Also a preferential treatment is hardly a sustainable solution. British diplomats have advocated a more dynamic economy, less bureaucracy and more space for private business as the best way to lure British business to Belarus. Despite last year’s dramatic drop (by 63 per cent) in Belarusian exports to the UK, the latter remained the third-largest destination for Belarusian goods (the second-largest in 2015) and the top export market outside of the CIS. In terms of turnover, the UK remains Belarus’s sixth-largest trade partner. Meanwhile, the downfall trend saw a no less dramatic reversal in 2017. In January-July, Belarusian exports to the United Kingdom more than doubled compared to the same period last year, attaining $1.38bn. Imports also increased by 66 per cent. However, Belarusian exports to the UK rely heavily on a single product – oil and mineral tar products. Over the past few years, their share in Belarusian exports to the country varied between 95 and 98 per cent. The remainder of supplied goods has included fertilisers, steel bars, lead, women’s overcoats and lasers. Belarus imports from the UK mostly engines, machinery and spirits. The United Kingdom also counts among the top-6 investors to Belarusian economy. As of 1 January 2015, British direct investments amounted to $279.2m, $144.9m of them being equity positions and $134.3m—debt instruments positions. However, a significant share of these investments may be related to settlement payments between BelOil—Belarus’s major exporter of oil products—and its British subsidiary, BNK (UK) Limited. In Minsk, Alan Duncan indeed mentioned trade and financial cooperation among the topics he discussed with President Lukashenka and Foreign Minister Makei, without going into details. The junior minister signed, on behalf of the United Kingdom, a double taxation agreement with Belarus. Education and regional defence and security became the other two cooperation areas Alan Duncan referred to specifically. In fact, regional defence and security seems to be the main topic of interest for the United Kingdom at the current stage of its relationship with Belarus. Ahead of his visit to Minsk, the British diplomat spoke about the “important role [Belarus has] to play in the region and more widely.” The UK appreciates Belarus’s contribution to reducing tensions in the region and helping to maintain the ceasefire between Ukraine and Russia. Alan Duncan came to Minsk to learn what leeway Belarus has in this area, taking into account its significant economic dependence on Russia. Belarusians unwelcome to the UK? 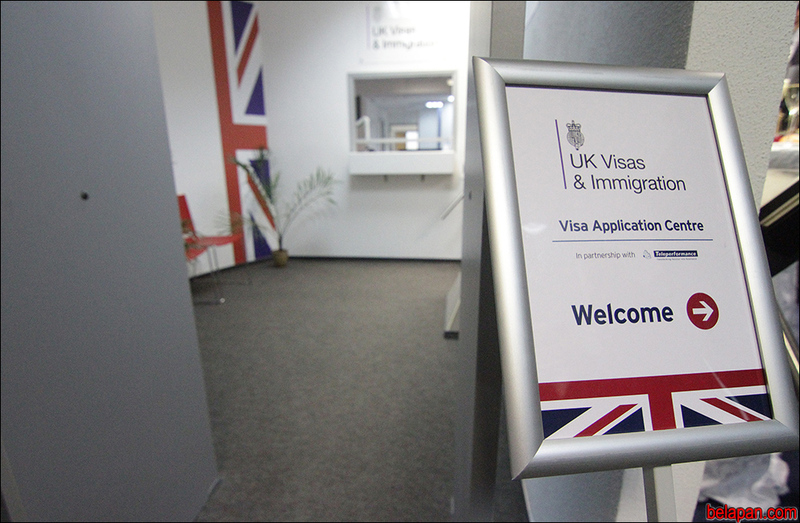 Belarus and UK officials made no mention of visa issues during the visit. Belarusians can easily reach London and other UK cities via frequent Belavia flights from Minsk or numerous low-budget options from nearby foreign cities. However, the current visa procedure discourages many potential tourists and business visitors from Belarus from visiting the UK. The United Kingdom changed its straightforward and quite quick visa procedure three years ago by including a commercial company in the visa application process. 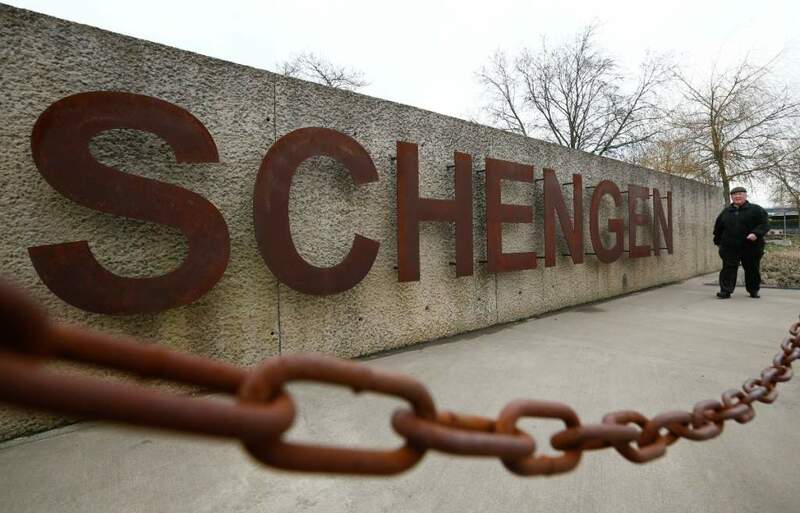 Now, the standard British visa is two to seven times costlier than its Schengen equivalents, which happen to give access not just to one, but to about forty countries. A British visa also takes two to three times longer to obtain. At that, the exact treatment time remains unknown during the application process. The visa fee and the new application procedure dissuade many from applying; many visits have had to be cancelled because of the treatment delays. Is a change in policy likely? At his meeting with leaders of Belarusian opposition parties, the British minister stressed that the UK would like to receive a clear signal that Belarusian youth are choosing the democratic standards of Western countries, and that this choice is not imposed from outside. The British elite seem to doubt the pro-European aspirations of Belarusian society. While prospects for democratic change in Belarus remain bleak, British diplomats may maintain a dialogue Lukashenka for the sake of “positive gradualism”—a term Alan Duncan coined in Minsk. Belarus has long remained on the margins of the British foreign policy agenda. The UK’s post-Brexit needs and Belarus’s increased role in stabilising security in the region made the junior minister’s visit to Minsk finally possible. However, a major increase in bilateral cooperation or the UK’s substantial departure from today’s common EU policy towards Belarus remain unlikely under current circumstances.